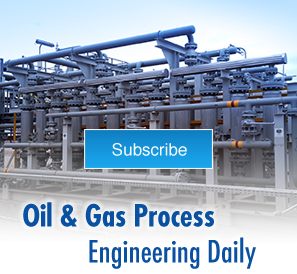 The use of advanced membrane technologies in the separation of natural gas mixtures is an exciting and rapidly developing area of scientific interest. Its application in various industrial processes has recently undergone a number of practical improvements, such that the technique is now considered a superior method of feed gas purification for companies operating in the fossil fuel sector today. But perhaps of greater significance than simply its technological sophistication is the fact that membrane separation offers a whole host of economic benefits to those who decide to utilize it in their plant operations. Let’s take a closer look at some of these benefits, and see where membrane separation can offer cost benefits over other traditional separation methods. The membrane separation system requires very little on-stream downtime, meaning that your gas process system can remain productive for longer, maximizing plant profitability and harvesting a greater product yield. Typically, in other gas sweetening and acid gas removal processes, the use of highly reactive amines, such as monoethanolamine (MEA), can cause plant apparatus to undergo chemical corrosion. Once this happens, costly repair procedures must be undertaken, sometimes with the need to completely replace damaged pipes and other vital plant architecture. Skid-mounted separation systems can be quickly erected at practically any plant site, which makes them especially suitable for offshore platforms, or where plant space is limited and a smaller module footprint is desirable. Similarly, commissioning times for installation can be radically reduced, offering flexibility when conditions require rapid additions to the plant machinery and/or emergency measures call for speedy changes to the site layout. The smaller and more condensed skid-mounted configuration system means that operating and setup costs are reduced, and the need for expensive integration protocols with the existing plant are mitigated somewhat. In addition, modular systems offer the option to alter and refine your plant setup should the need arise. Membrane separation technologies are flexible and give the user a choice of operating temperatures and pressures under which to work, depending on the membranes used and the purity specifications of the gas product required. For instance, if reduced fuel expenditure costs are of paramount importance, a high membrane surface area can be combined with a low driving force at the feed site in order to drive down the energy consumption of the whole process. Conversely, if a customer or regulatory body specifies that a more stringent purity product is to be delivered, then a high pressure feed point, coupled with a vacuum component at extraction, may be more suitable for this job. Furthermore, inorganic membranes, based on various ceramic materials, are now being developed that are capable of operating at considerably elevated temperatures — a boon for those seeking even greater separation ratios than before. The potential for membrane specialization remains huge, and the technology is ever advancing. With work on hybrid membrane systems constantly evolving, the benefits to this method of gas separation will only increase.